Getting caught with drugs can be a very stressful event in people’s lives. Criminal records for personal possession of drugs can ruin careers and opportunities and costs the police and legal system considerable time and money for uncertain gain. Adding to the problem is that laws are not equally applied across cultures with significant racial bias and even different versions of the same drugs carrying different penalties. For example in the US crack cocaine is way worse than cocaine powder – gm for gm the sentence is 18 times greater for crack – go figure? *) Countries also differ in the lengths that they go to find people in possession of drugs – with some countries be fonder of sniffer dogs and roadside drug testing than others. And of course there is the variation across countries – where penalties for simple possession can vary from casual indifference, a smack on the wrist or informal caution to court appearance, criminal records, fines, prison and worse. With such variation it is rather odd that there are no current estimates of differences and similarities in the approaches taken to drugs policing. e.g. 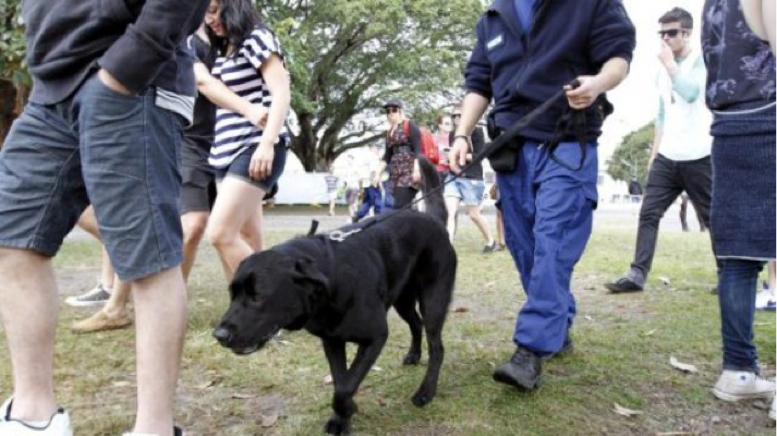 which countries use drug detection dogs for routine drugs policing? And how often are people who use drugs stopped and searched for drugs? This is a significant omission and one that GDS2017 is going to plug. Collaborating with Dr Caitlin Hughes a criminologist and drug policy expert at the University of New South Wales Australia, we will provide the first cross-national insight into the frequency of illicit drug-related police encounters in different parts of the globe; the nature and severity/punitiveness of these drug-related police encounters and the factors that predict high frequency police encounters for people who use drugs e.g. age, gender, ethnicity. The key questions we will be asking include whether people have encountered police with drug detection dogs in the last year (at any setting excluding airports e.g. at a music festival); whether they have been stopped and searched for drugs; and whether they have been arrested for drugs. We will also look at diversionary options: e.g. whether people have encountered police for drugs but received a warning or referral to treatment instead of being charged. Understanding how drug laws are applied across the world at a time of huge changes in policy and technology is hugely important in helping governments consider alternative approaches and identifying what is most just and humane (and the true resource implications of the investment in policing drugs). Before the eyes of the law, all people should be equal. But we know that what is written in the statute books and what is meant to happen are often different from the reality experienced by thousands of people every day. So if you’ve ever been sniffed by dog or searched by the police and wondered ‘is what everyone experiences’ or ‘what would happen if I lived in another country?’ then take a few minutes to share your experience so we can tell the world how the police deal with drugs around the globe and go to www.globaldrugsurvey.com/GDS2017 now. * The 2010 Fair Sentencing Act changed the ratio of crack to powder cocaine (for purposes of imposing the same sentence for possession of each form of the drug) from 100-to-one to 18-to-one.